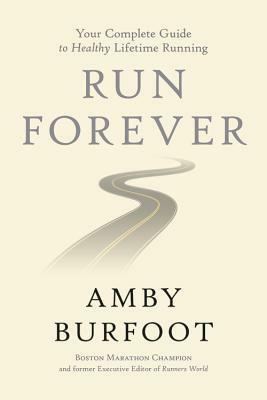 As a runner, I LOVED "Run Forever" by Amby Burfoot. This book spoke to the person inside me that loves running. I couldn't contain myself and the excitement that I had on the inside as I was reading each page made me want to throw on my running shoes and go outside. This book gets back to the basics of running in the best way possible. Whether you're an experienced runner or have never ran a mile in your life, this book will want to make you run. Amby shares his experience as a runner that inspires you to achieve bigger and better dreams for yourself. I love all that he shares in this book and the fact that he says that running is one of the most simplest sports, which i believe to be true, if you keep it that way. "Run Forever" has a wealth of information and is great resource for the beginner or the life long runner looking for some tips on running. As a practical writer, you will get practical advice, which I love. He also shares advice, tools and success'/ failures that he has learned about running along the way. I love this transparency and authenticity in this book. You can learn a lot from him, just by gleaning on better nutrition or recovery. The chapters are very simple, but approachable and realistic for your life, which I appreciate. Overall, I give this book a 5/5 stars. It was a fantastic read and have some friends that I am purchasing a copy for because they love to run. If you are a runner, you need this book!